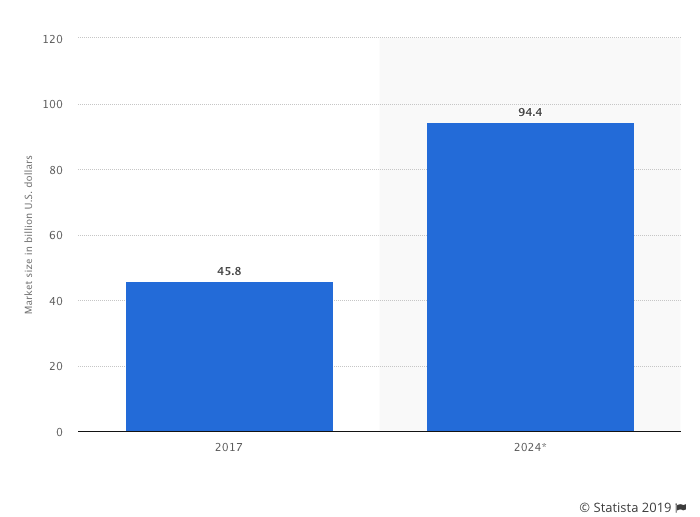 The world of online gaming has seen exponential growth in recent years. According to Gambling Insider, the online gaming industry was worth $41.78 billion at the end of 2016 and is on target to hit $80 billion by the end of 2020. Both new and returning gamers have questions and queries for support teams. Instead, of picking up the phone or drafting an email, gaming companies are opting to automate their support with a chatbot. For some context, Gambling Insider also reported that “11% of total internet traffic now comes from online casino players. The UK’s remote gambling sector has seen a 300% increase since 2014’s new legislation, reaching nearly $6.7bn by the end of last year.” With a client base consistently on the rise, the ability to support users can make or break lasting success. In this article, we will explore how chatbots benefit the gaming industry. Adding a chatbot to support teams is a chatbot use case that has skyrocketed in popularity as the client base has continued to rise. From large businesses to start-ups automating customer support links users with the answers they seek in a matter of seconds. The gaming sector is no stranger to this use case. According to Gartner, by the year 2022, the majority of customer queries are predicted to be answered by a bot. A chatbot offers easy navigation and better customer response. Placing a bot as the first point of contact filters requests for the live support team so they can focus on higher level queries. Players seeking support can turn to the chatbot 24/7 in the gaming app or website. A chatbot is enriched with Artificial Intelligence and Natural Language processing to better understand user requests. Chatbots work holidays and after hours so human support teams won’t have to, which benefits users and cuts costs by saving labor hours. Create positive interactions with users by providing consistent and accurate customer service with a bot. For more information on chatbots for customer support see our article. 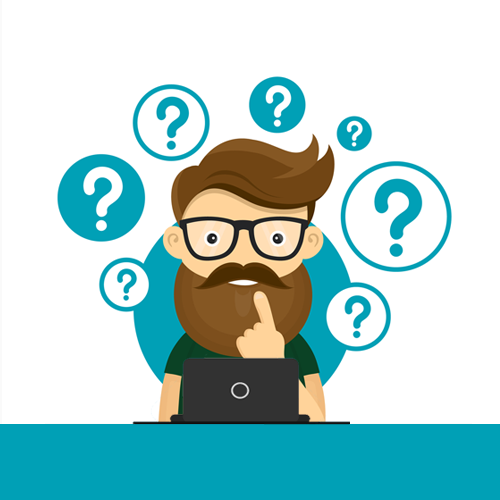 A companies FAQ is a great source of information for existing and potential customers but they are often out of date and difficult to find or navigate. Our client Les Frances des Jeux is the largest gambling company in France. They have seen a €115 billion in annual revenue with over 26 million players. This past year we helped them to develop a chatbot to keep up with their growth. Prior to the bot, FDJ found that their FAQ was difficult for customers to navigate causing the number of calls and emails to rise. Once the chatbot was implemented it answered recurring queries, and FAQ’s while dividing the number of requests for their human team by 3. For more facts and figures on FDJ’s bots success, take a look at the case study. Chatbots record all conversations users. Learn from your users and use this data to your advantage to detect common questions, pain areas and to truly understand what users need. As previously mentioned our client FDJ discovered an entire segment of users and players that had multiple questions that did not feel comfortable asking them via email or by phone. The Clustaar platform allows you to download data voluntarily submitted by users into a CSV file, such as name,city, referrers and more. Similarly, with Clustaar’s Zapier Integration, companies may also send user inputted data to a form or spreadsheet for an ongoing list of live leads. Sky Betting and Gaming is also known as SkyBet is an online sports betting and odds website and app. 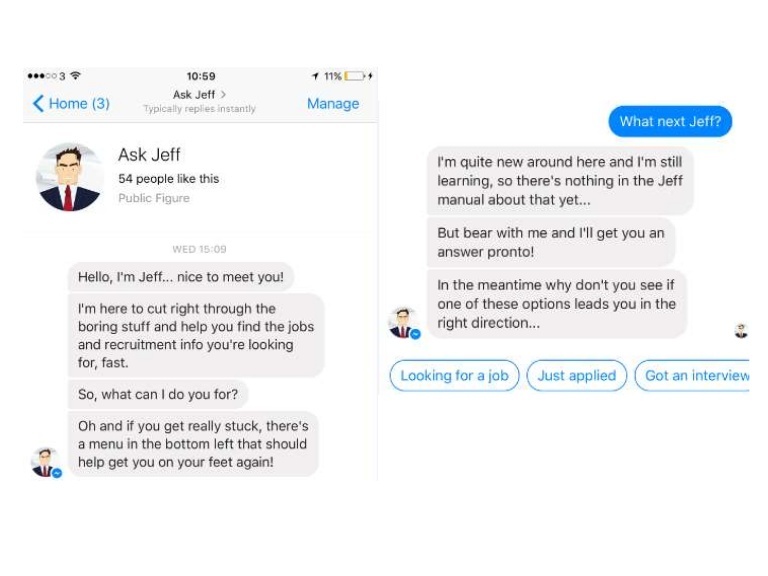 Sky Bet’s chatbot ‘Ask Jeff’ is located on their Facebook page to interact with potential employees. The bot is coded with AI and Natural Language processing to walk candidates through the application process, check on application status, benefits and other opportunities. The bot does this through both text and interactive buttons. During an eight-month period, the bot recruited 600 candidates of interest. Internal chatbots like this also benefit HR and the onboarding process. Once candidates are hired, chatbots guide new employees through documentation and frequently asked questions. 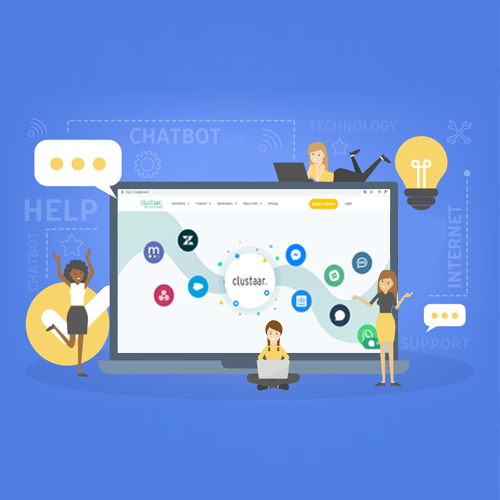 The Clustaar Platform offers an intelligent chatbot solution to ease the pain of overwhelmed human support teams and link users with the answers instantly. Clustaar offers a variety of integrations meaning your bot can be implemented virtually anywhere. Online gaming sites and casinos are popular locations for both desktop and app users which makes them prime candidates for support automation with a chatbot. Join the likes of Les Frances Des Jeux and SkyBet and get started on your chatbot project today. Book a demo with one of our experts to discuss your future bot and take a tour of the platform.